Select a project, then click on “+” sign to upload a new files. To upload a file, you can either drag & drop one or multiple files (or select files from your computer). 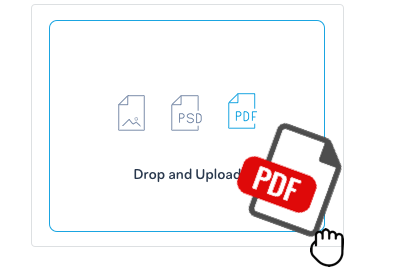 Drag & Drop - Drag your file from the folder in your computer and drop into the dropzone. Upload from your computer- click anywhere on the dropzone and click to access files from your computer. Select your desired file(s).